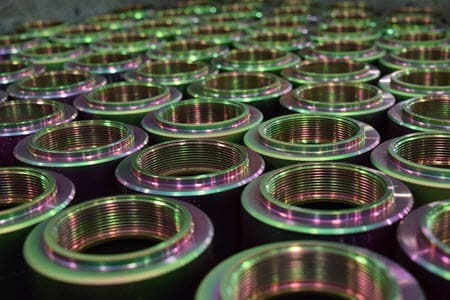 What Engineers Should Know about Zinc-Nickel Coatings | Gatto Industrial Platers, Inc.
Zinc-Nickel can offer parts up to 5 times as much corrosion protection as conventional Zinc, yet is often overlooked by many industries. Gatto’ s recent article featured in Machine Design will give you an in-depth look at the many features and benefits of Zinc-Nickel coatings as compared to other common finishes. It also discusses ideal applications and common misconceptions surrounding pricing and the plating process.